Jack is Cooking: A Busy Year! Its been a long time since i posted any recipes, i’ve been very busy formalizing Jackiscooking into an actual company! 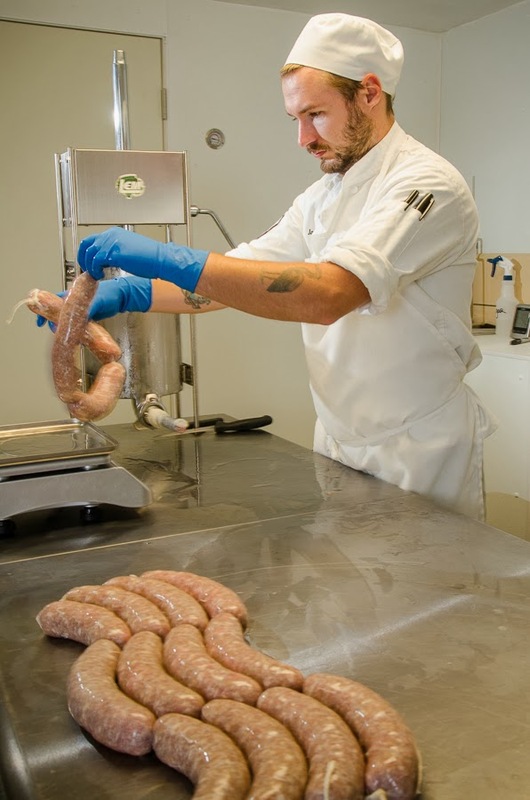 As you may know earlier this year i engaged in an Indiegogo campaign to raise some money to build a certified meat processing facility so i could produce my own Salami, Bacon, and Sausage. 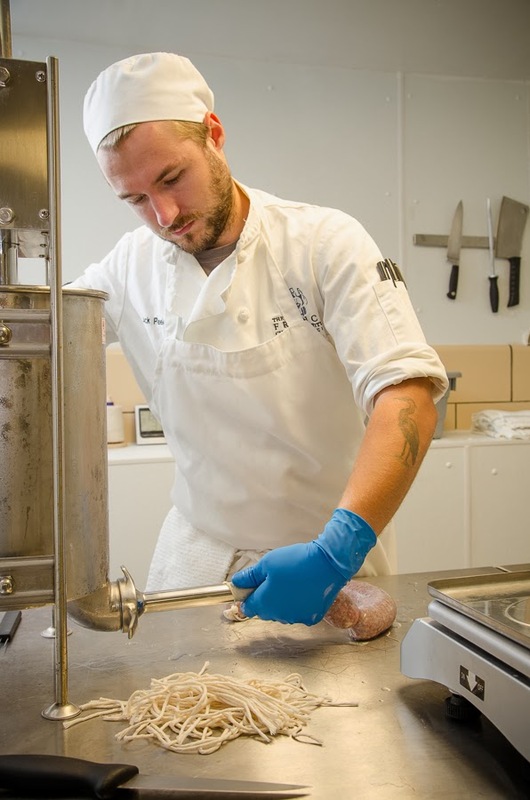 There was great success, and i was able to build the facility, tackle mountains of regulatory paperwork, and begin selling my delicious charcuterie! I now have a backlog of recipes to publish, which i will begin doing in the next few weeks. 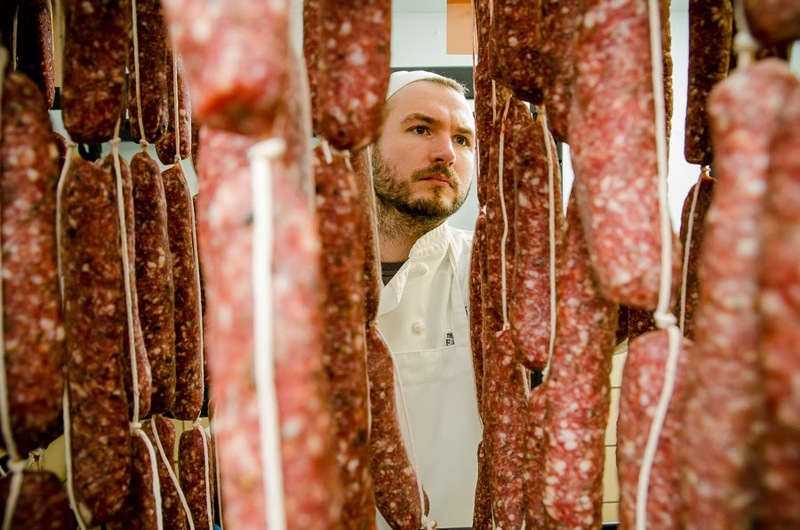 A few weeks ago the wonderful photographer B. Docktor came and took some great shots of salami making in action. 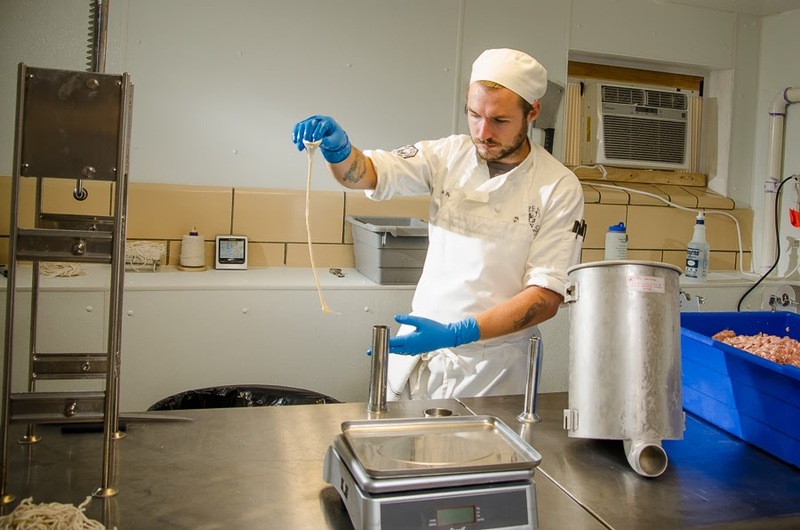 That day i was making my French Style Saucisson Sec – a dried sausage with no added spices, so all you get is the delicious flavor of cured pork! Each Saucisson must be the same size! The Curing Chamber! here i am moving some Chorizo around to make room for my Saucisson Sec! 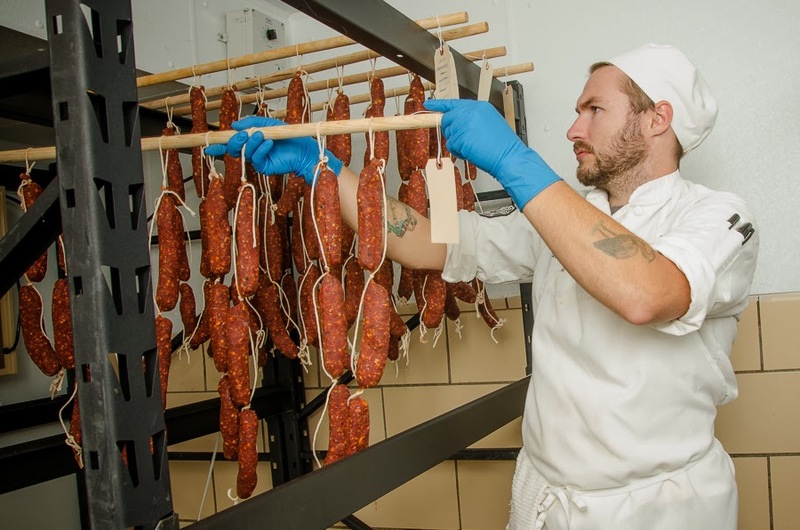 Each batch of sausages is fermented for 48 hours in my greening room (This is a room that is very humid, and quite warm) before heading to the Curing chamber (Below) to hang for 3-4 weeks. just me and a whole lot of salami!